HOLLYWOOD – After bowing out of the Showtime 2016 resurrection of Twin Peaks, David Lynch has confirmed that his next film will be the long-awaited Dune sequel: Dune Messiah. It’s just one of those things that has been grinding at me for years. I was so attached to the original material that I read all of the Frank Herbert novels, even those towards the end when things really got ridiculous. For years I’ve resisted the idea of doing sequels although I’ve returned sometimes to Twin Peaks. But with Dune it was different. If someone had given me the budget I would have gone tomorrow. The budget, as I said, was always going to be a factor. Filming in Arrakis is really expensive. There’s not just the logistic of having to deal with the Guild, but paying of the Fremen costs a lot as well. But we’ve managed to raise the money and Kyle Maclachlan has agreed to come on board and repeat his role as Paul – Maud’Dib – Atreides. So I’m really excited. I know David, you seem really excited. But when we spoke about Twin Peaks you seemed really excited as well. With Dune Messiah we will be shooting on Arrakis which, as I’ve said is an expensive, difficult and might I say dangerous location, but with Twin Peaks we were going to have to shoot in Canada. And I’m just not prepared to do that. 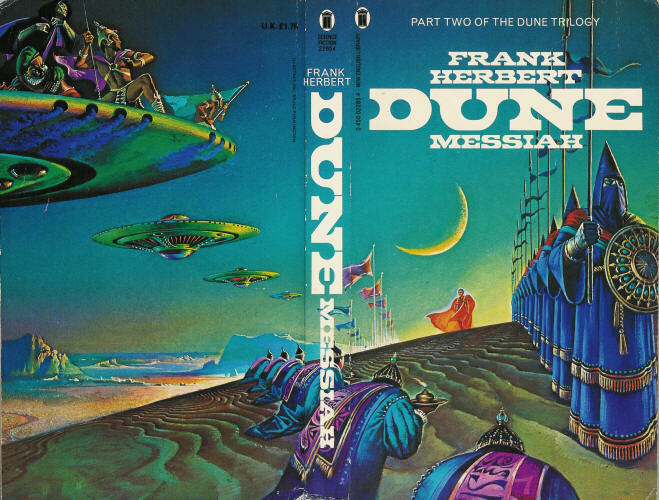 Dune Messiah will be released in 2016. Previous PostMERYL STREEP TO STAR IN THE HUMAN CENTIPEDE 3 Next PostNETFLIX ANNOUNCE EXCLUSIVE APPLE WATCH SHOW.